The summer heat has just about reached its peak and any amount of chilled beverages and ice-creams don’t seem enough to cool off. I’ve already made a batch of Mango ice-cream this summer too, and wanted to make other flavours. I also bought a spanking new red Cuisinart ice-cream maker, oh boy, it has just made my life and making ice-creams that much easier! 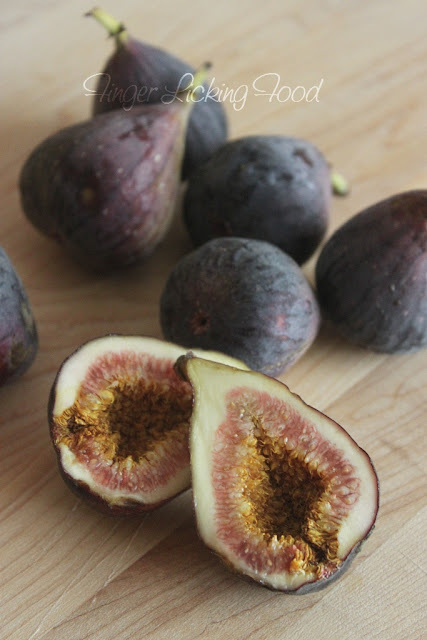 Last week I was at Costco and found fresh figs and I was squealing with joy!! My last memory of eating fresh figs is from almost a decade ago when ajji (my grandma) used to bring them home when she saw them in the market. This was one fruit I really missed when I came here and didn’t quite know where to buy them or when they were in season here. This year I had kept an eye out for them and came home armed with two whole boxes – about 50 figs in all. By the time I got around to making ice-cream I had polished off about ½ off one box and had to resist eating them all. 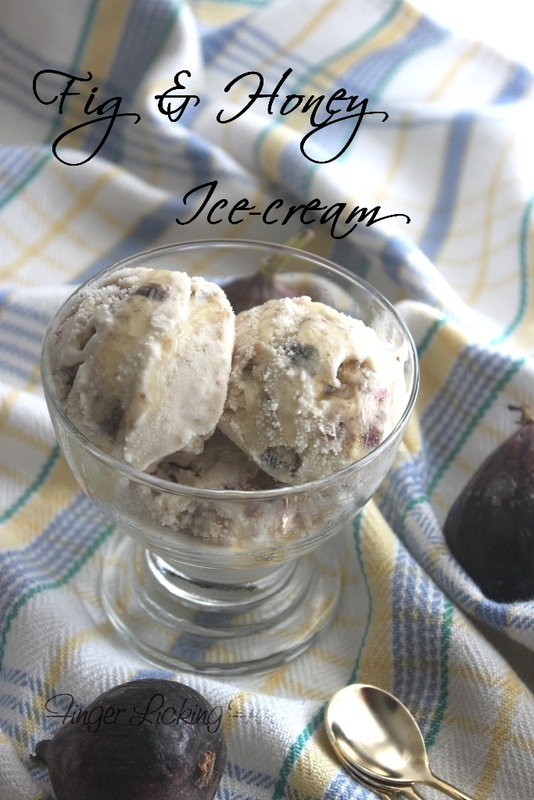 I use a lot of the figs to make Fig & Honey Ice-cream, a flavor favourite from childhood and something I haven't come across here in the USA. Combine the chopped figs,3 tbsp crystal sugar and water in a medium saucepan and place on medium heat. Stir occasionally and cook until figs are soft and the whole mixture has a jam like consistency, about 7-8 minutes. Turn off heat and cool completely. Combine ¼ cup of cold milk with the custard powder until dissolved and lump free. Bring remaining milk and 2 tbsp sugar to a boil on medium heat. When it begins to boil, remove from heat and add the custard paste while stirring. Return to low heat and stir until the custard thickens and coats the back of a wooden spoon. Turn off heat and cool completely. Once the custard is cooled, stir in the condensed milk, honey,vanilla and heavy cream. Transfer to a metal container and chill for atleast 8 hours. Churn in an ice-cream maker according to manufacturer’s instructions. In the last 5 minutes of churning, add the fig mixture. Serve with additional honey drizzled on top if required. This sure looks good ! Thanks for sharing. Interesting n exotic it sounds ~ I like your use of fresh figs n honey! I have a bunch of dried figs in my pantry do you think I can use them instead. Such a lovely combination. Can I have some? @ aipi, yes can use dried figs instead of fresh ones. Reconstitute the dried figs in hot water before adding them to the ice-cream - soaking them in hot water will soften them a little. Dried figs are richer in flavor and sweetness, so adjust sugar accordingly. 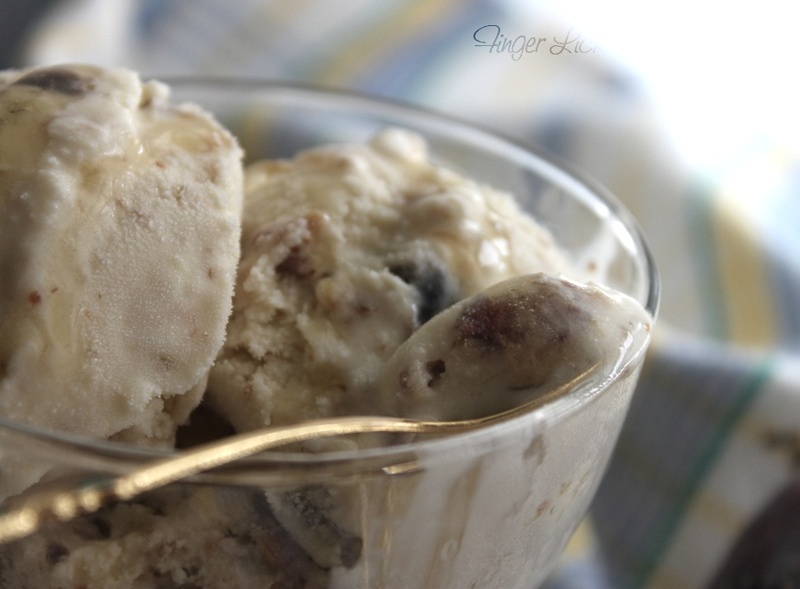 I'm a big fig fan too :) I make a short-cut recipe by mixing fig puree, tiny pieces and honey in vanilla ice-cream.. 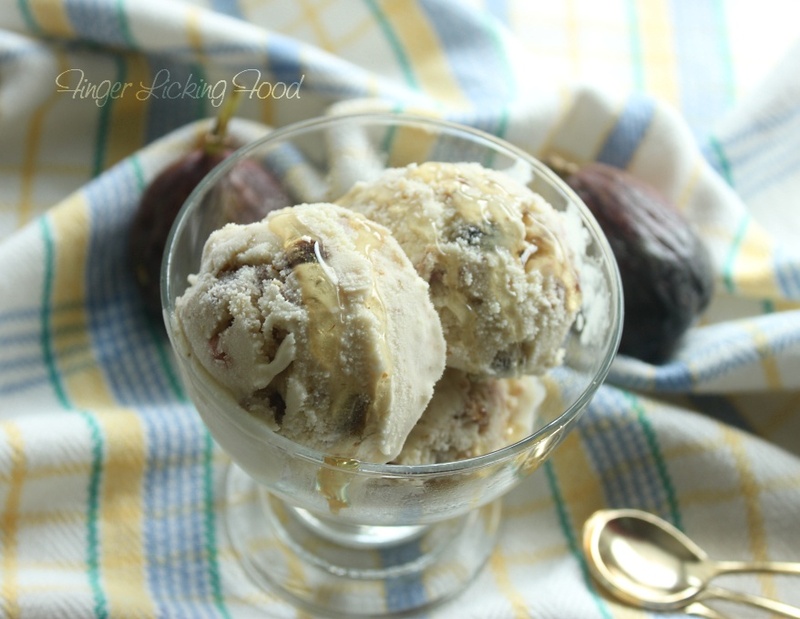 I don't have an ice-cream maker but your recipe makes me think I can make Figs in kulfi style :) Will try next season!